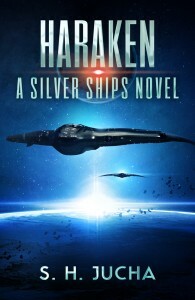 First of all, the fourth book in the Silver Ships series has a new title, Haraken. Two reasons for the change: (1) the book is more about the people, the Harakens, than the system they inhabit, Hellébore, and (2) it’s easier to insert this title into some of the listing services, which have antiquated data systems and have difficulty handling accented letters. I’m wrapping up the editing and proofreading processes this month and will publish the eBook on March 1st. You can visit my website, scottjucha.com, to get a preview of the first two chapters and the book’s description after the 20th of this month. This entry was posted in Readers, Uncategorized on February 8, 2016 by Scott Jucha. Good News! 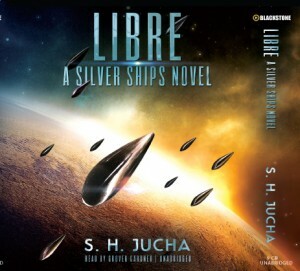 The audiobook for Libre, the second audiobook in the Silver Ships series, is finally online. Its publishing required that I become my own audiobook producer, but the transition will enable me to keep the audiobooks published on schedule. My sincere thanks to all the fans who waited so patiently for the audiobook series to continue. Visit Amazon.com, Audible.com, or Blackstone Audio for your copy of Libre‘s audiobook, narrated by Grover Gardner and distributed by Blackstone Audio.